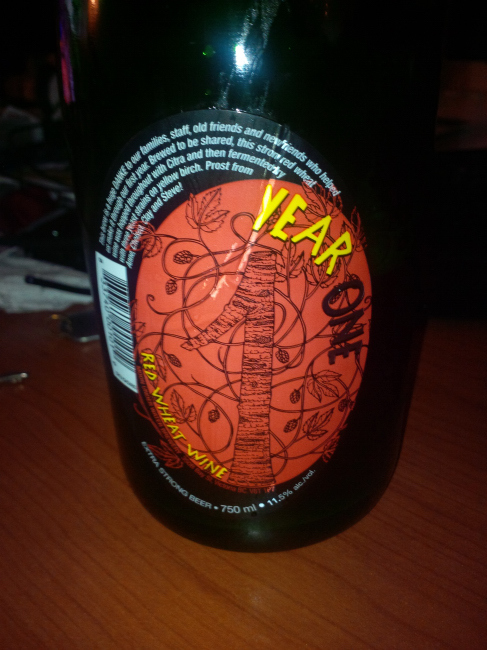 From The Moon Under Water Pub & Brewery out of Victoria comes their “Year One Red Wheat Wine”. This is The Moon Under Water’s first anniversary since being taken over by the new owners and this beer was brewed in celebration. 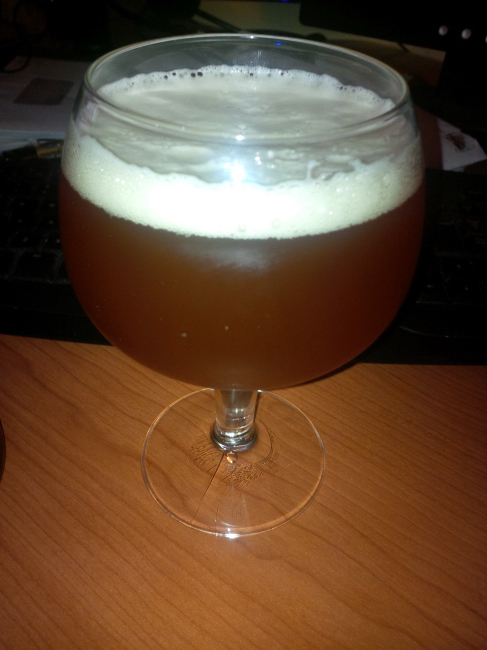 This brew pours a cloudy Orangey/Brown colour with a white head. The aroma consists wheat, red wine, sweet grapes and lots of birch. The flavour is of hops up front with red wine, wheat, yeast, birch, huge malts and maybe a hint of something like licorice. This is a very complex beer with an alcohol warming without showing up in the flavour. The alcohol content comes in at 11.5%. 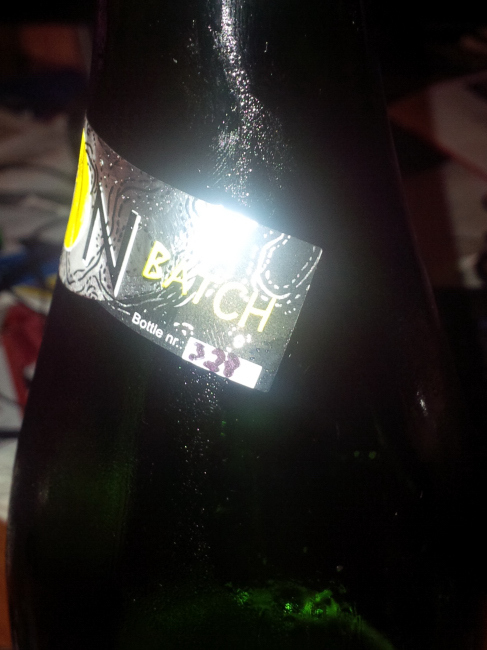 My bottle is number 327 but it does not specify how many were made. 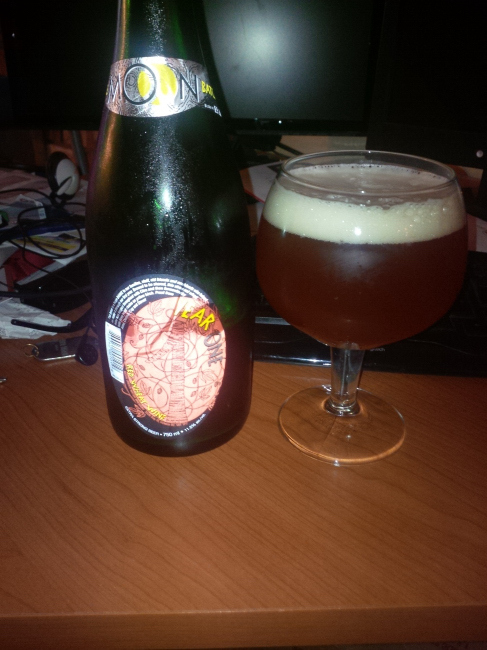 Although not the best wheat wine that I have ever had it was still a very tasty brew and well worth the purchase! I am still fairly new to this style of beer but I have not been let down yet. Keep up the great work Moon Under Water and happy Anniversary! Commercial Description: Brewmaster Clay has created this special brew to be shared, this strong red wheat wine was hopped throughout with Citra and then fermented dry with 3 yeast strains on yellow birch. This entry was posted in Barrel Aged, Imperial, Wheat Wine Ale and tagged alcohol warmth, ale, bc, beer, birch, bitter, bitterness, canada, complex, hopped, hops, hopy, huge malt, huge malts, imperial, licorice, malt, malts, malty, Moon Under Water Pub & Brewery, red wheat wine, red wine, victoria, wheat, wheat wine, wine, yeast, yeasty. Now this I must see!